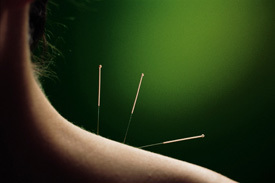 Acupuncture can help provide relief for a wide array of symptoms. We will listen, do a thorough examination and take a look at your health history. Next, we will discuss ways that acupuncture can help you find relief. If you are new to acupuncture, we will ease your mind by answering any questions about the acupuncture procedure and what you can expect. Some insurance covers acupuncture and fees depend on each service. To learn more about us and how we can help you experience relief through acupuncture, contact us or make an appointment today!